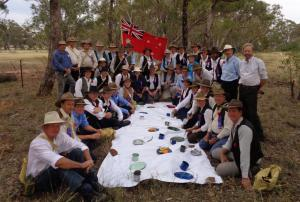 I have had the privilege to participate in the Gilgandra to Sydney Coo-ee March 2015 Re-enactment from Saturday 17th October to Wednesday 11th November 2015, where the marchers arrived in Martin Place in Sydney, and took part in the Remembrance Day Parade and Service, in my role as Administration/Research Officer for Coo-ee March 2015 Inc. (Gilgandra Sub-Committee). 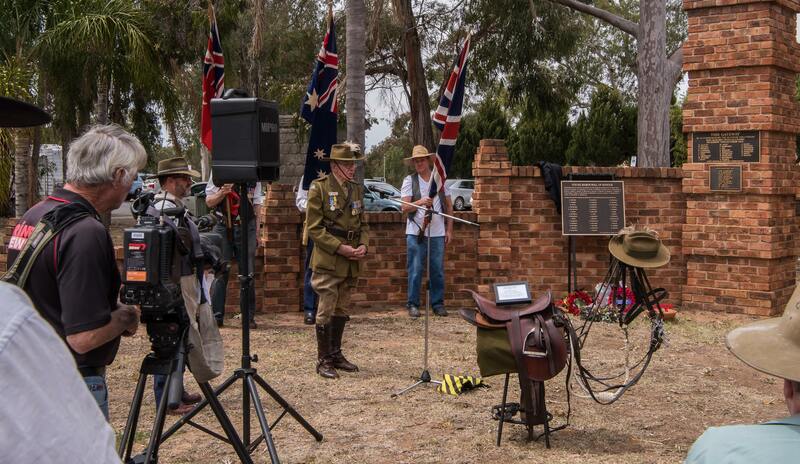 I gave speeches at most of the commemorative services that were held at war memorials in the towns and villages along the route, which included a description of the Coo-ees’ arrival in 1915 in that town or village, based on newspaper articles of the time, and also provided information about the Coo-ees who enlisted there. 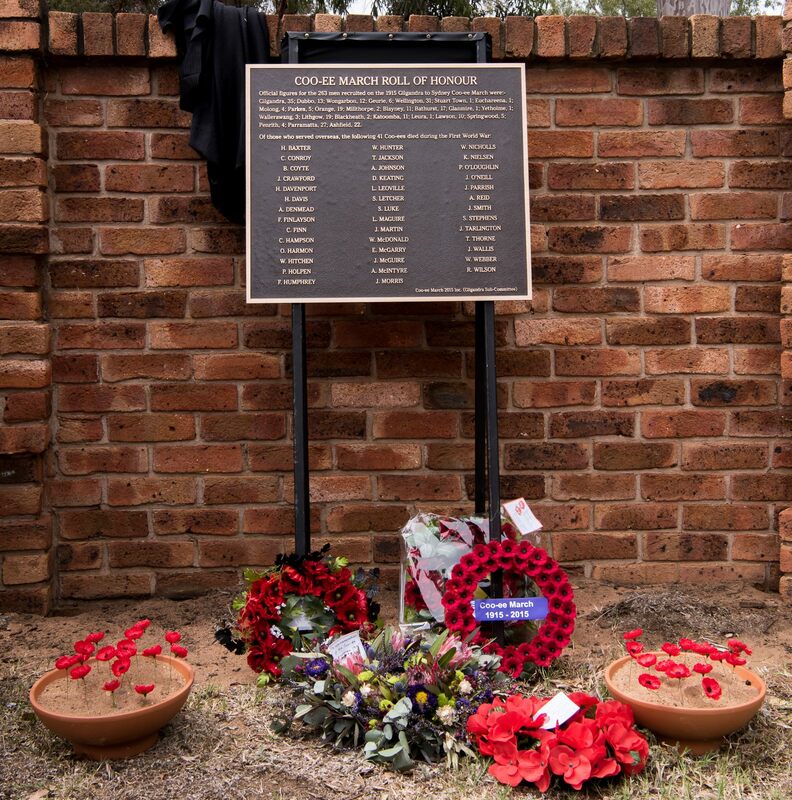 I also liaised with local RSL Sub-Branches, local councils, and other groups to organise the services. 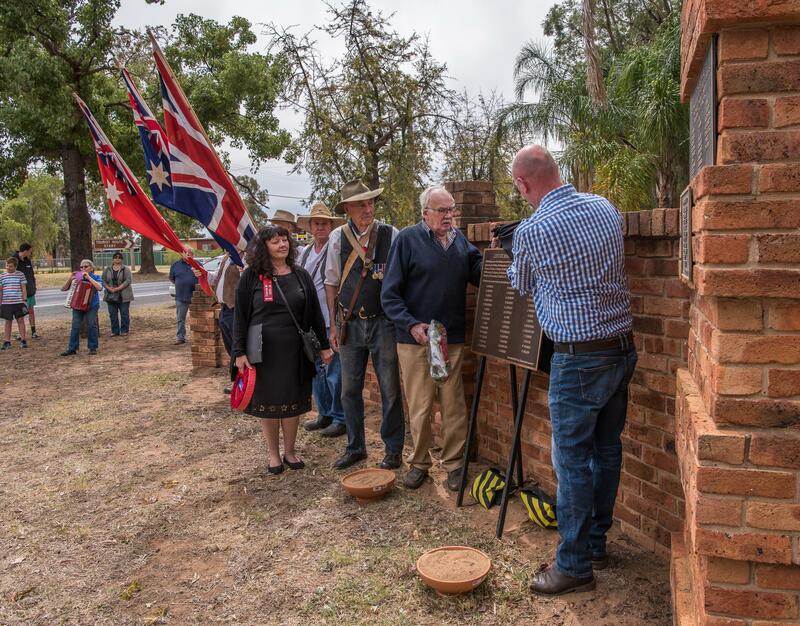 Highlights of the Re-enactment March included meeting family descendants of some of the 1915 Coo-ees, the involvement and support of local communities, and the interaction with many local school children along the way, with school children attending services, lining the streets waving flags, calling “Coo-ees” to welcome the marchers, and giving the marchers “high-fives” as they marched by. 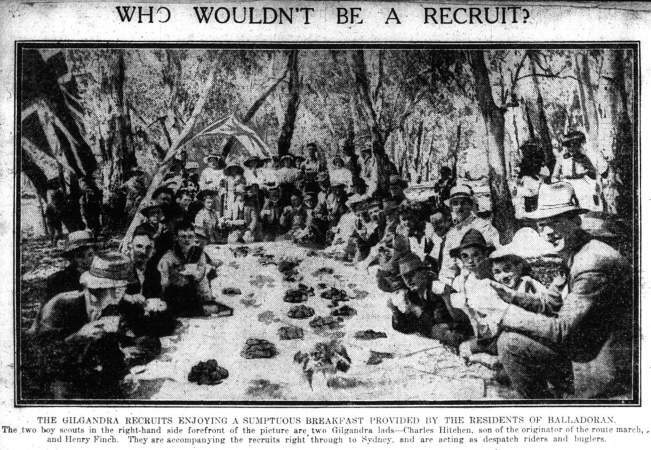 There was the opportunity for some “then and now” photographs. 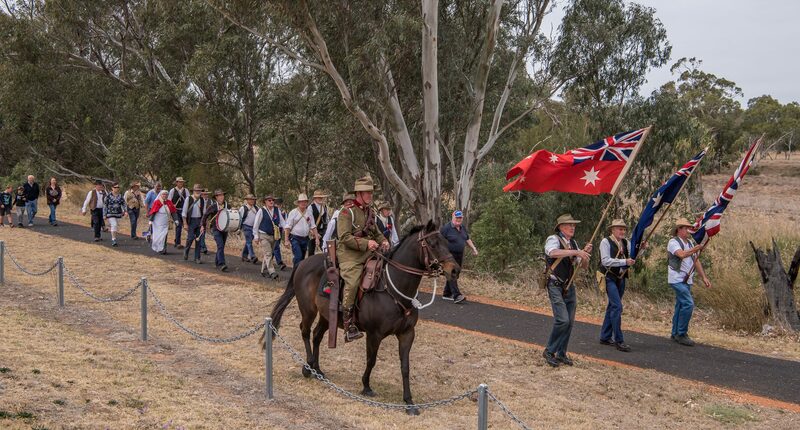 Much of my time in recent months has been taken up with administration support in assisting my husband Stephen to prepare the traffic management plan for the route, and assist in planning and preparations for the Coo-ee March 2015 Re-enactment, so I have not had as much time as I would have liked to add further information to the cooeemarch1915.com website. 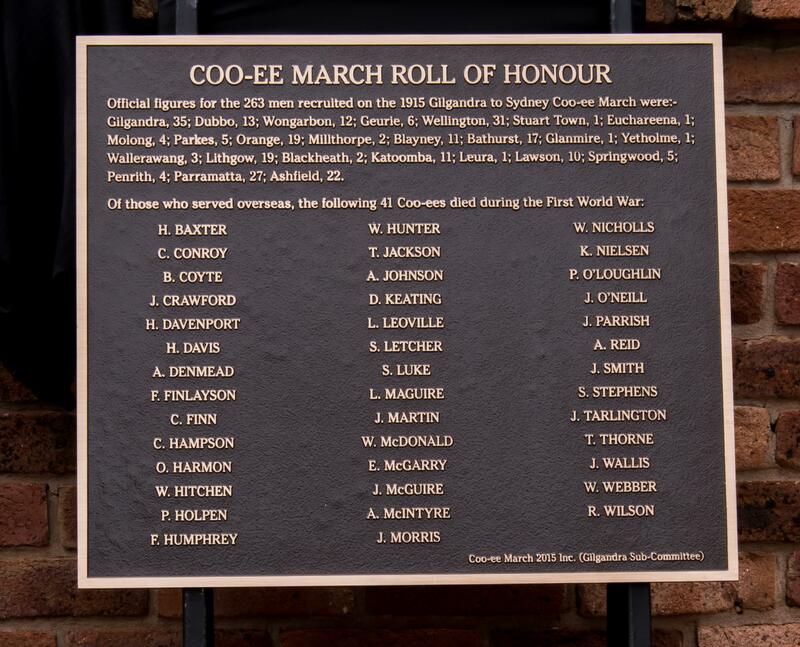 Now that the Coo-ee Marcch 2015 Re-enactment is over, Stephen and I will have time to return to our research on the 1915 Coo-ee March and the 263 men who enlisted in the AIF as a result of it, and add further entries to our website.